Vietnam’s shrimp export value plunged almost 15 percent year-on-year in September, hit by the rising dollar and other factors. The Vietnam Association of Seafood Exporters and Producers (VASEP) said shrimp export value dropped by 14.8 percent year-on-year in September. Total shrimp export value for the first nine months of the year went down four percent year-on-year to $2.6 billion, the association added. The slip in export value began in the second quarter, because of several factors including excessive shrimp supply across the globe and overseas markets taking safeguard action to protect domestic enterprises, the association said. Global shrimp supply is expected to rise some 5.5 percent from 2017 to 2018, Undercurrent News, a global seafood news publication, quoted James Anderson, a University of Florida seafood economist, as saying. The situation has been worsened by the rising dollar, causing importers to buy less. The DXY index of the U.S. dollar versus six developed market currencies is up 4.82 percent this year, now topping the rise of the dollar against emerging market currencies, according to CNBC. This saw the shrimp export value to the U.S. decrease continuously from April to July this year. In the first nine months of the year, it fell three percent year-on-year to $472.4 million. A similar trend can be seen in shrimp exports to the E.U., despite an impressive increase in value in the first six months of the year, the association said. VASEP expressed hope that if world prices improve in the coming months, Vietnam’s shrimp export output will increase in the fourth quarter and boost total value for the year to $3.85 billion, last year’s figure. However last year’s shrimp export value marked a year-on-year increase of 22 percent. 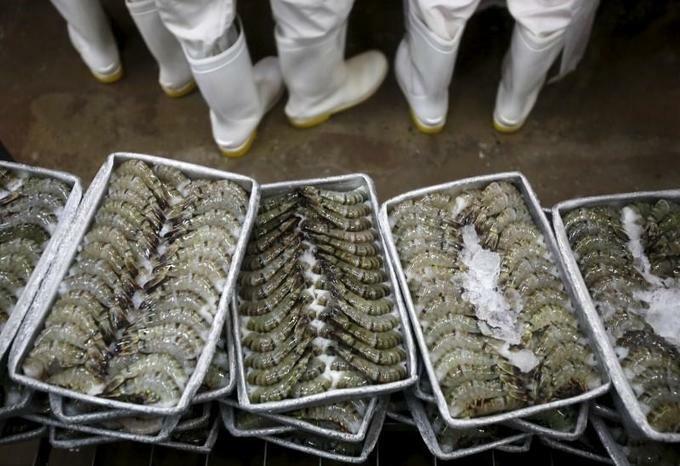 Vietnam is world’s third-largest shrimp supplier, according to the agriculture ministry.